Home › - Nation › Well said, Health Minister! On a separate development, he stressed that he was not authorised to interfere in the recognition of the medical degree from Crimea State Medical University (CSMU), Ukraine. 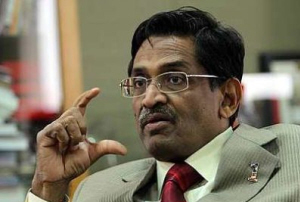 “It’s unreasonable for a PKR party leader to propose that I use my power as the Health Minister to get the Malaysian Medical Council (MMC) to recognise CSMU. I cannot use that power. There will be no end to it. If I do it for one college, there will be many more colleges requesting the same thing. “The Ministry will make the decision based on MMC’s professional inspection and evaluation,” he said. Indeed on the issue of recognition of medical schools, politicians should stay out of it. Leave it to the professionals, please.